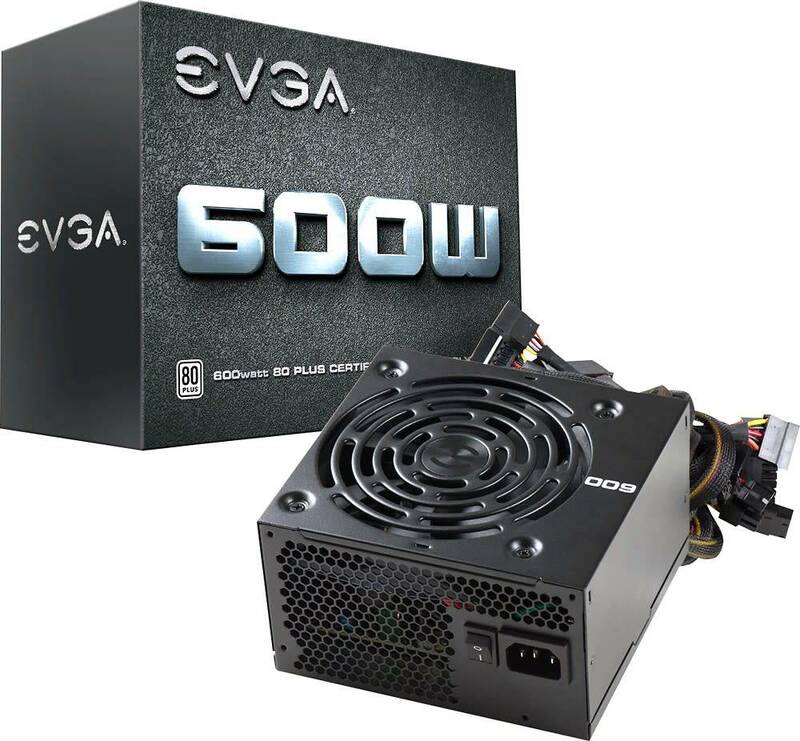 EVGA - 80 PLUS 600W ATX 12V/EPS 12V Power Supply - Black - NWCA Inc.
600W power supplySupports 49 amps on a 12V rail to provide flexible setup options. 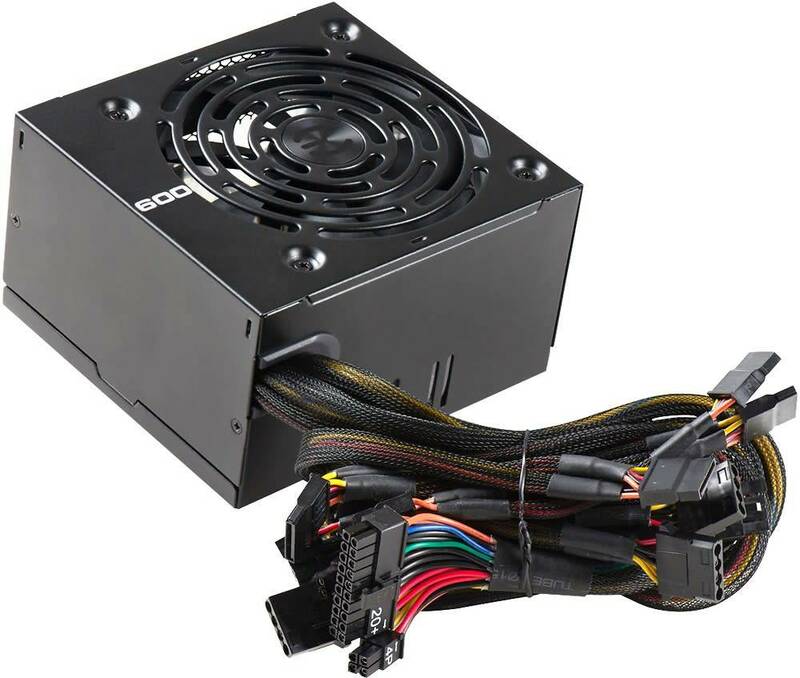 ATX 12V and EPS 12V compliantTo support your build. Ultraquiet, intelligent auto fanHelps keep components cool, so your computer runs efficiently. Multiple protectionsInclude OVP (over-voltage protection), UVP (under-voltage protection), OCP (over-current protection), OPP (over-power protection), SCP (short-circuit protection) and over-temperature protection for safe operation. 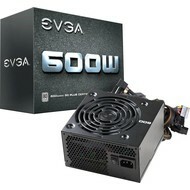 Compact designAlong with a well-placed power switch and fully sleeved cables helps you conserve space. 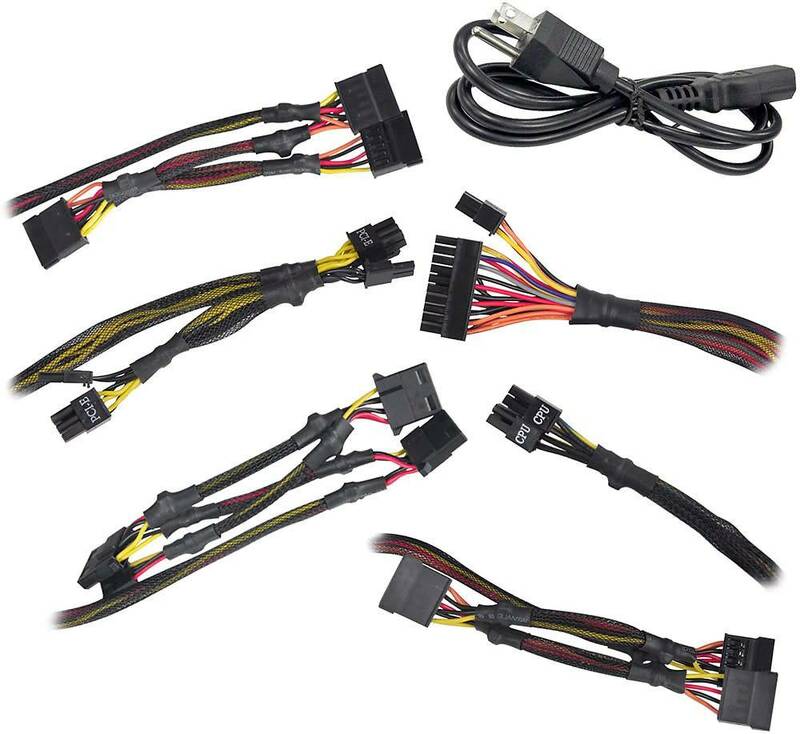 ConnectorsInclude one 24-pin, 1 EPS (CPU), 2 PCI-Express (6+2), 6 SATA, three 4-pin peripheral (Molex) and 1 floppy.